First let me start out by saying that I LOVE my King James Bible! It has been my preferred study Bible for 40 years – essentially since I was old enough to read it. I definitely do not enjoy dealing with KJV Only types though, but that’s another story. Those people follow me around like hound dogs always going off on me anytime I challenge the alleged “perfection” of that particular translation as if I just insulted their own personal god – you know, the fourth person of the Trinity. And they are stuck in the most ridiculous loop of circular reasoning you can ever observe in any debate. And when it comes to the issue of the flat Earth, there are some die-hard KJV Only types who just can’t handle the facts. I am now going to openly challenge all of you who are absolutely convinced the KJV is the end-all-be-all English translation but who are opposed to the idea that the Bible is a flat earth book. I’m sorry, but you might as well just sign up to become a flat earther now, because you absolutely have no case for a spinning, heliocentric, globular Earth model from your King James Bible – so, please pay close attention Mike Hoggard, Stephen Anderson, Kent and Eric Hovind (and possibly David Reeves too) and others who are of the same or similar mindset. I’ve specifically heard Mike, Stephen and Kent boldly proclaim that they hold their King James Bible to be the absolute source of LITERAL truth and that no other Bible compares to it. If you are going to use a Bible to make your case, it BETTER be the KJV. OK. Well, I’m going to issue a public challenge to each of these gentlemen to prove the Earth is a spinning, heliocentric, globe in an ever expanding universe. And I’m going to demand (as most KJV Only types usually do) that since we speak ENGLISH here, this means you CAN NOT use any other source material apart from the King James ENGLISH Bible for your position. No fair trying to manipulate the Hebrew and Greek now. Just stick to your “perfect” translation and lets look at a few facts. The phrase “FACE of the earth” appears 29 times. The phrase “SURFACE of the earth” appears 0 times! Why is this significant? Well, the above mentioned theologians consistently want to argue that Isaiah’s “circle of the earth” really means a sphere and that a circle is a 2 dimensional object. They then mock and say that Flat Earthers need to learn basic geometry. OK. In geometry, there is no such thing as the “face” of a sphere. If you suggest that our heads are roughly spherical and we have a face as your argument, it still fails. Yes, the roughly spherical nature of our heads does have a face, but it is the “front” part of that sphere. It is the principally dressed portion that communicates. Where then is the “front” of the globe? What is its principally dressed portion? And if you only identify one area of the globe, what do we do with the rest of it? You can’t just have a “face” on a globe that has land all around it. Whereas using the phrase “face of the earth” – especially where it says (6 times) “the face of the WHOLE EARTH” – is a perfect fit when you consider the earth is only described in terms of a circle – twice in fact: once in Proverbs 8:27 when we learn that YHWH “set a compass upon the face of the deep” and confirmed by the second witness of Isaiah’s famous 22nd verse in the 40th chapter. But how many times does the KJV describe the earth as spherical? Oh yeah… IT DOESN”T! 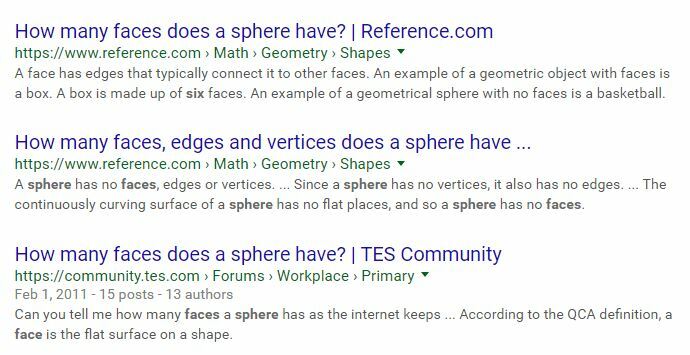 A keyword search on “sphere” yields zero results in any context. What about globe? Nope. Zero results. How about a ball? Well, we do have ONE reference to a ball and it’s by the same guy who told us the shape of the earth no less! Funny how that worked out. You’d think of all people, the guy you KJV Only types want to quote for your justification of a spherical earth apparently knew the difference and chose an entirely different word when describing the shape of the earth. Many a skeptic claims that the Bible depicts a flat earth. Scriptural references such as Revelation 7:1 are cited, which speaks of “four angels standing at the four corners of the earth.” However, this passage makes reference to the cardinal directions as seen on a compass – i.e. north, south, east and west. Uhm… OK. It says “corners,” which implies end points. Does a sphere have edges/ends/points? If you are correct in the ridiculous claim that the four corners of the KJV are a reference to the four cardinal directions, then you have the Psalmist telling us that YHWH only removes our sins about 11,495.367 miles away, between the two “antipodes” of some mystical East and West targets on the globe. That would indeed be depressing if true. Fortunately for all of us, you guys are wrong, and the KJV is correct. Biblically speaking, the earth is not a sphere. It does have four corners and East and West do NOT have end points. We have 28 references to the “ends of the earth” in the King James Bible. Exactly at what point do you reach on a ball that you can say you’ve arrived at an end, with no further direction to go? Does not the ball still continue in all directions no matter where you stand on it? We have at least 3 references to the “pillars of the earth”. How many references do we have for the “core of the earth”? Oops. None. So, while you desperately try to force the “pillars of the earth” into some picture of the interior core of a spherical planet, the KJV provides absolutely no justification for such a view. We have at least 7 KJV references telling us the earth has a foundation and that it is stationary and not moving. Apart from earthquakes and Divine judgment, there is no precedence for stating that the earth is in any form of motion. And certainly nothing whatsoever to support any concept of rotating or orbiting around the sun, which didn’t even show up until Day 4 after the earth was already in place and producing life! There are over 60 references to the motion of the sun, moon and stars in the Bible. NOT ONE in reference to the specific motion of earth as the cause of those “perceived motions.” Quite the contrary. If your KJV is indeed the final authority, then what gives you the right to change what it actually says and demand that it is simply an illusion from the author’s perspective? Sorry, but Joshua commanded the sun and moon to stand still. He did NOT command the earth to stop rotating (which is what would be required in order to achieve the stopping of the sun in your model)! And the situation is even worse for you when you consider the sun dial of Hezekiah going backwards ten degrees. You really don’t have to go much further than the first chapter of Genesis to see that your spinning, heliocentric, globular earth in an ever expanding universe model is NOT Biblical. There is only ONE firmament and the sun, moon and stars were placed IN it (over the circular inscribed earth that Job, Solomon and Isaiah would later describe for us). With all due respect, the heavenly luminaries were NOT placed outside and all around the earth as your “canopy theory” demands Dr. Hovind. Also, the firmament is a solid structure! No where can any of you prove it to be anything other than that. I could go on and on with this stuff. But I’ll stop here. Where do you see any description of the earth as a sphere in the KJV? Where do you see the KJV referencing anything about the SURFACE of the earth? What are the four corners of a globe? Where are the ends of the globe? Where does the KJV indicate that we have a “core” for a spherical earth? Where does the KJV ever tell us the earth is spinning and/or in any form of motion? Using your KJV, tell us exactly how did the sun and moon stand still with Joshua’s command? Tell us how did the sun’s shadow go backward ten degrees in the book of Isaiah? Where does the KJV tell us in both examples (Joshua’s and Hezekiah’s) that the earth spun itself back up to 1,000 mph, resuming its 66,600 mph orbital speed? Where in the KJV do we see any Creation description even remotely hinting at the earth being a planet in a “solar system” orbiting the sun? And we don’t want to hear and see your fancy tap dancing to try and explain these things away. Just give us Scripture for your support. Now YOU claim the KJV is the authority. YOU claim it as your source for truth! YOU claim we don’t need to understand Hebrew or Greek and that the KJV is the preserved, purified seven times, perfect, infallible word of God. So, as I see it, by your own definitions and standards, since I already know you can’t really address the above questions in support of a spherical earth, you’re going to have NO CHOICE but to either accept or reject the facts it gives us as clearly described above. I choose to except these facts. Now what are you KJV Only types going to do with them? If you choose to do anything short of agree, then I’m just going to call you out right here and say you are lying hypocrites who do NOT believe your own words that you hold all of us accountable to, nor do you believe the Holy Spirit inspired authors of the original texts, nor the “perfect” translation you hold as the standard for those of us who speak English. Like it or not, believe it or not, accept it or not… your King James Bible clearly indicates a circular, still flat earth, set on pillars, under a dome (firmament), within which the sun, moon and stars were placed on Day 4 of Creation. Period. And good luck trying to claim otherwise. Blessings, Peace and Knowledge to you. I wish to thank you for assisting me in unlearning what I have so readily taken into my thought process over 50 years. May Our Lord and Creator continue His Work through You that we may all come to know Our Father! I have watched this video, and enjoy it a lot – I am not on the same page on some of the ‘religion’ that you seem to believe – but I am in total agreement with the main points you give. I have come to see a deep foundation in the flat earth – i still have questions and am a little at odds with the RC and FM people as the ‘them’. My question is on the southern cross – many would like to make this the ‘south poll star’ but I thought that the usefulness of the southern cross was that it pointed to the Big Dipper and helped us find north? Maybe Rob’s face is flat, but most people have rounded faces…not sure how everyone is looking in the mirror and (somehow) misconstruing how they look with geometry. Oh wait, maybe they figured since the mirror is flat, their face must be too. Florida to China, hpw does it look in flat earrh map? President Xi visited with the Governor of Alaska at a fueling stop in Alaska on his way home. Rob, This video was posted on Facebook today, 04-29-17. I am familiar with this speaker; I have met this speaker. I was introduced to this speaker by an engineer who had been maintaining these Aurora cameras across the north of Canada. This engineer has been to Resolute near to where the Magnetic North Pole exists (Did you know that The Magnetic North Pole is not at the same location as the Geographic North Pole?). The Earth is an HUGE magnet with a magnetic North Pole and South Pole. The Auroras take place within the huge MAGNETIC FIELD which protects the Earth from the Sun’s Sunspot activities by capturing the electrically charged particles. The bright dancing lights of the aurora are actually collisions between electrically charged particles from the sun that enter the earth’s atmosphere. The lights are seen above the magnetic poles of the northern and southern hemispheres. They are known as ‘Aurora borealis’ in the north and ‘Aurora australis’ in the south.. The Northern Lights are actually the result of collisions between gaseous particles in the Earth’s atmosphere with charged particles released from the sun’s atmosphere. Variations in colour are due to the type of gas particles that are colliding. The most common auroral color, a pale yellowish-green, is produced by oxygen molecules located about 60 miles above the earth. Rare, all-red auroras are produced by high-altitude oxygen, at heights of up to 200 miles. Nitrogen produces blue or purplish-red aurora. The temperature above the surface of the sun is millions of degrees Celsius. At this temperature, collisions between gas molecules are frequent and explosive. Free electrons and protons are thrown from the sun’s atmosphere by the rotation of the sun and escape through holes in the magnetic field. Blown towards the earth by the solar wind, the charged particles are largely deflected by the earth’s magnetic field. However, the earth’s magnetic field is weaker at either pole and therefore some particles enter the earth’s atmosphere and collide with gas particles. These collisions emit light that we perceive as the dancing lights of the north (and the south). There are 16 sites across the north of Canada and Alaska where cameras and magnetometers are continually recording the Aurora and their effects upon the magnetic protection shield / the Earth’s Magnetic Shield, surrounding the Earth. Computers at these camera and magnetometer sites are sending the data to storage where scientists world-wide can access and analyze the data as was indicated in the video. This engineer I am referring to, worked where this speaker is also employed. He kept the magnetometers and camera-imagers and computers operating across the Canadian North. When I mention your flat earth speculations to him, his knowledge and experience with the Aurora imagers and satellites enables him to refute your flat earth thinking based upon his experiences. Where is your verse to refute? Why so much faith in man and not Yahuah? Why are there South Pole stars and North Pole stars? Why is it that Australians cannot see the North Pole stars? Why is it the Canadians and Americans cannot see the Southern Cross constellation? Why are there seasonal changes in the constellations which are visible from Earth in both the North and Southern Hemispheres? What causes the length of a year? What causes the length of a day? What causes the length of the Moon’s cycle? Why does the Sun appear to move against the background constellations of the Mazzaroth / Zodiac? In the photos taken of the horizon from your balloon camera, what is the distance OF THE HORIZON appearing in the photos? What is the percentage of the HORIZON with respect to the total length of the Earth’s horizon? How much curvature would that percentage of the horizon have of the total horizon of the Earth? Why can’t we see the Orion constellation during the Summer Months? Why can’t we see Cygnus the swan’s constellation during the Winter Months? Rob, what you don’t, apparently, understand, is that the ancient HEBREW word meanings are built upon the agricultural life-style which they were living. Letters had meanings. Combining letters into words gave meanings. It appears to me that you are taking the ENGLISH words too literally. “FOUNDATION” does not mean a concrete basement, for instance, in the Hebrew language. Rob, if you were to be WILLING to read your Bible with an open mind to the Solar System of planets ORBITING THE SUN, you would be finding that you could read your Bible and understand that the Earth is a planet, ORBITING the Sun once a year. Day and Night happen every ~24 hours, because the Earth and its EXPANSE / ATMOSPHERE are rotating about the axis of the Earth / about its North and South Poles of a SPHERICAL EARTH. 1. Where do you see any description of the earth as a sphere in the KJV? The FACE OF THE EARTH is the SURFACE OF THE EARTH – THE SURFACE OF THE SPHERICAL EARTH. You may recall the original “WATERS” as having a SURFACE and as having DEPTHS. Those ‘WATERS” may have been a blob of un-energized “waters.” a MASS having a SURFACE and having DEPTH. The Sun rises in the morning and sets in the evening – EVERY DAY in ~24 hours. Psalm 19 describes the Sun making a YEARLY trip AROUND THE MAZZAROTH / with the MAZZAROTH 12 constellations sequentially being BEHIND THE SUN. That happens, because the Earth is making its YEARLY TRIP AROUND THE SUN. As the Earth moves around the Sun, the Mazzaroth constellations are one by one, monthly, disappearing behind the brilliance of the Sun’s rays. The Earth moves in one month’s distance around the Sun, which causes it to APPEAR that it is the Sun which is moving away from being in front of one Mazzaroth constellation, into the region of the NEXT MAZZAROTH CONSTELLATION. That happens!! That is, therefore, PROOF of the Earth orbiting the Sun! [Gen 1:3 ESV] 3 And God said, “Let there be light,” and there was light. Rob, if you could take many hoola hoops and joined them at the top and bottom, these CIRCLES would form a SPHERE. When we see the Earth from space, it looks like a circle. When the eclipse of the Moon takes place, the shadow of the Earth as it passes across the Moon evidences a curvature resulting from a SPHERE preventing the light from the Sun from shining on the Moon and reflecting to Earth its reflected light. Psalm 19, in spite of all of your denials, describes the movement of a rotating spherical Earth moving AROUND THE SUN, yearly, such that the Constellations of the Mazaroth and their related constellations, sequentially rise from the Eastern horizon of the Earth such that in one year’s time, all 12 of the Mazzaroth constellations will appear at the Eastern horizon and move across the night sky taking one year to do so. [Psa 19:1 HNV] “1 For the Chief Musician. A Psalm by David. The heavens declare the glory of God. The expanse shows his handiwork.” There you have the EXPANSE through which the Sun, Moon and Stars are visible. [Psa 19:1-2 HNV] “2 Day after day they pour forth speech, And night after night they display knowledge.” Rob, what SPEECH – what KNOWLEDGE do the HEAVENS give / say about “THE GLORY OF GOD”? It is Christ Jesus Who is the Revealer of the “Glory of God.” Rob, HOW do they “DISPLAY KNOWLEDGE”? Rob, what are the “THEY”? Rob, it is the message of the MAZZAROTH and their related decans which relate the KNOWLEDGE of Christ Jesus INCARNATION. [Psa 19:3 HNV] “3 There is no speech nor language, Where their voice is not heard.” Rob, modern humans know very little about the Constellations of the Mazzaroth and their related decans. BUT, King David, certainly, knew about “THE GLORY OF GOD” via the Mazzaroth speech / knowledge! [Psa 19:4 HNV] “4 Their voice has gone out through all the eretz, Their words to the end of the world. In them he has set a tent for the sun,” Here you have the Hebrew peoples knowledgeable about the Plan of Salvation revealed via the Mazzaroth and decans, but not only they, but all peoples of the Earth. Rob, no one on Earth is capable of viewing Orion during the Summer nights. Why is that, Rob? It is because the SUN IS SHINING from the MAZZAROTH location of Orion during the Summer. The background stars / the stars which are BEHIND THE SUN are out-shone by the SUN during the day time and during the night time. Rob, how does it happen that the Mazzaroth constellations appear according to “his season”? [Gen 15:12 KJV] “12 And when the sun was going down, a deep sleep fell upon Abram; and, lo, an horror of great darkness fell upon him.” Rob, what causes the “Sun to go down”? [Gen 19:23 KJV] “23 The sun was risen upon the earth when Lot entered into Zoar.” Rob, what cause the “Sun to rise”? [Num 2:3 KJV] “3 And ON THE EAST SIDE TOWARD THE RISING OF THE SUN shall they of the standard of the camp of Judah pitch throughout their armies: and Nahshon the son of Amminadab [shall be] captain of the children of Judah.” Rob, why does the Sun rise on the EAST side of the camp? [Deu 11:30 KJV] “30 [Are] they not on the other side Jordan, by the way where the sun goeth down, in the land of the Canaanites, which dwell in the champaign over against Gilgal, beside the plains of Moreh?” Rob, why does the Sun always “GO DOWN” toward the West? [Deu 16:6 KJV] “6 But at the place which the LORD thy God shall choose to place his name in, there thou shalt sacrifice the passover at even, at the going down of the sun, at the season that thou camest forth out of Egypt.” Rob, what causes the PASSOVER SEASON to return annually? [Jos 10:13 KJV] “13 And the sun stood still, and the moon stayed, until the people had avenged themselves upon their enemies. [Is] not this written in the book of Jasher? So the sun stood still in the midst of heaven, and hasted not to go down about a whole day.” Rob, why does the Bible text speak of the Sun “GOING DOWN” and the Sun “RISING UP”? Where does the SUN go when it goes DOWN? Where has the Sun been when it “RISES UP”? What direction would your Sun be setting TO on your FE, Rob? NORTH? What direction would your Sun be rising FROM on your FE, Rob? SOUTH? [Jdg 8:13 KJV] “13 And Gideon the son of Joash returned from battle before the sun [was up],” Rob, how can the Biblical Sun RISE UP and GO DOWN? [2Ki 23:5 KJV] “5 And he put down the idolatrous priests, whom the kings of Judah had ordained to burn incense in the high places in the cities of Judah, and in the places round about Jerusalem; them also that burned incense unto Baal, to the SUN, and to the MOON, and to the PLANETS, and to all the host of heaven.” Rob, is the Earth a PLANET? What are PLANETS? What do PLANETS DO? Does the Earth do what PLANETS DO? What did the biblical writers know about the PLANETS when they spoke of them? [Neh 7:3 KJV] “3 And I said unto them, Let not the gates of Jerusalem be opened until the sun be hot; and while they stand by, let them shut the doors, and bar [them]: and appoint watches of the inhabitants of Jerusalem, every one in his watch, and every one [to be] over against his house.” Rob, what causes the Sun to be HOT? Isn’t the SUN always HOT? [Job 38:5 KJV] 5 Who hath laid the measures thereof, if thou knowest? or who hath stretched the LINE upon it? [1Ki 7:23 KJV] 23 And he made a molten sea, ten cubits from the one brim to the other: [it was] round all about, and his height [was] five cubits: and a LINE of thirty cubits did compass it round about. Rob, notice what is being measured by the LINE in both references. The MAZZAROTH is a LINE against which the SUN APPEARS to MOVE, YEARLY. How does that happen, Rob? What causes the SUN to APPARENTLY move around along a LINE behind which is the MAZZAROTH constellations? How does that happen, Rob? [Joe 2:2 KJV] 2 A day of darkness and of gloominess, a day of clouds and of thick darkness, as the MORNING SPREAD UPON THE MOUNTAINS: a great people and a strong; there hath not been ever the like, neither shall be any more after it, [even] to the years of many generations. Rob, if we have been in the MOUNTAINS, we have seen that the rising SUNLIGHT hits the tops of the MOUNTAINS first, and then, gradually moves down into the valleys. Why does this happen, Rob? [Job 38:8 KJV] “8 Or [who] shut up the sea with doors, when it brake forth, [as if] IT HAD ISSUED OUT OF THE WOMB?” Rob, is the WOMB a SPHERE? [Isa 48:13 KJV] “13 Mine hand ALSO HATH LAID THE FOUNDATION OF ( is one HEBREW term meaing – “to found, fix, establish, lay foundation) the earth, and my right hand hath spanned the heavens: [when] I call unto them, they stand up together.” Rob, you are understanding “foundation” as a concrete basement floor. The Earth was “founded, fixed, established / a foundation was laid.” The Earth is in a FIXED ORBIT around the SUN. and makes that journey YEARLY, causing the Sun to APPEAR TO MOVE against the Mazzaroth background STARS. [Isa 51:13 KJV] 13 And forgettest the LORD thy maker, that hath STRETCHED FORTH THE HEAVENS, and LAID THE FOUNDATIONS OF THE EARTH; and hast feared continually every day because of the fury of the oppressor, as if he were ready to destroy? and where [is] the fury of the oppressor? Rob, have you considered the plural – FOUNDATIONS? Have you considered how may parameters needed to be considered in order for the Earth to continually orbit the Sun year after year? What keeps the Earth in its orbit around the Sun? The above reference speaks of plural FOUNDATIONS. 2. Where do you see the KJV referencing anything about the SURFACE of the earth? [Gen 7:18, 23 HCSB] 1”8 The waters surged and increased greatly ON THE EARTH, and the ark floated on the SURFACE of the water. … 23 He wiped out every living thing that was on the SURFACE of the ground, from mankind to livestock, to creatures that crawl, to the birds of the sky, and they were WIPED OFF THE EARTH. Only Noah was left, and those that were with him in the ark”. 3. 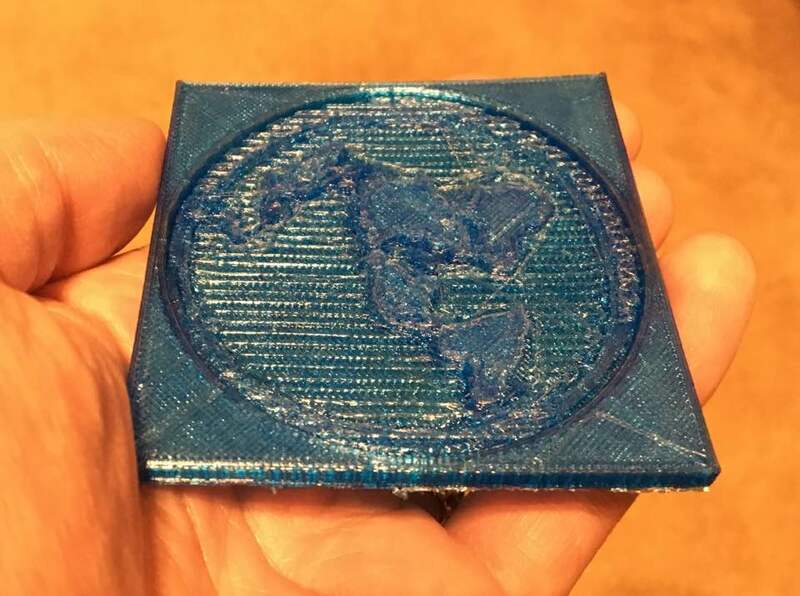 What are the four corners of a globe? The North and South Poles and the East rising of the Sun and the West setting of the Sun. 4. Where are the ends of the globe? 5. Where does the KJV indicate that we have a “core” for a spherical earth? Answer: The KJV is not equivalent to the original HEBREW UNDERSTANDINGS / VOCABULARY! [Gen 1:2 HCSB] 2 Now the earth was formless and empty, darkness covered the SURFACE of the watery DEPTHS, and the Spirit of God was hovering over the SURFACE of the waters. 6. Where does the KJV ever tell us the earth is spinning and/or in any form of motion? Answer: Psalm 19, Rob!!!! Because the SUN APPEARS TO MOVE AGAINST THE BACKGROUND OF THE MOZZARETH STARS, IT IS ACTUALLY THE EARTH THAT IS ORBITING THE SUN, YEARLY!!! 7. Using your KJV, tell us exactly how did the sun and moon stand still with Joshua’s command? Answer: The Book of Jasher corroborates the claim. We have an ALL POWERFUL CREATOR-GOD Who has no difficulty at all accomplishing that task!! You may recall that the length of the OT year was 360 days instead of our current 365.5 day year. The Hezakiah incident with the Sun-dial, must, also, be considered regarding this CHANGE in the length of the year. Have you considered that the Sun DID NOT NEED to STAND STILL in order to appear to Joshua’s army to HAVE STOOD STILL? The Sun could have moved OUTWARD, for instance. OR, the Earth could have moved AWAY from the Sun. The Earth’s ATMOSPHERE / EXPANSE travels WITH the Earth’s spinning about its axis as well as its orbiting of the Sun, yearly. 8. Tell us how did the sun’s shadow go backward ten degrees in the book of Isaiah? Answer: Same answer as above. 9. Where does the KJV tell us in both examples (Joshua’s and Hezekiah’s) that the earth spun itself back up to 1,000 mph, resuming its 66,600 mph orbital speed? Answer: Why does the Earth need to “spin back up to 1,000 mph in orbital speed,” if there was a relative change in the position of either the Sun’s distance or the Earth’s distance? 10. Where in the KJV do we see any Creation description even remotely hinting at the earth being a planet in a “solar system” orbiting the sun? Answer: [Gen 1:2, 5-11, 13-14, 16, 18-19, 22-24, 28-31 HCSB] 2 Now the earth was formless and empty, darkness covered the SURFACE of the WATERY DEPTHS and the Spirit of God was hovering over the SURFACE OF THE WATERS. … 5 God called the light “DAY,” and He called the darkness “NIGHT.” Evening came and then morning: the FIRST DAY. 6 Then God said, “Let there be an EXPANSE BETWEEN THE WATERS, SEPARATING water from water.” 7 So God made the EXPANSE and SEPARATED the water UNDER THE EXPANSE from the water ABOVE THE EXPANSE. And it was so. 8 God CALLED THE EXPANSE “sky.” Evening came and then morning: the SECOND DAY. 9 Then God said, “Let the WATER UNDER THE SKY be gathered into one place, and LET THE DRY LAND APPEAR.” And it was so. 10 God called the dry land “EARTH,” and He called the gathering of the water “SEAS.” And God saw that it was good. 11 Then God said, “Let the earth produce vegetation: seed-bearing plants and fruit trees ON THE EARTH bearing fruit with seed in it according to their kinds.” And it was so. … 13 Evening came and then morning: the THIRD DAY. 14 Then God said, “Let there be LIGHTS IN THE EXPANSE OF THE SKY to separate the DAY from the NIGHT. They will serve as SIGNS FOR FESTIVALS and for DAYS and YEARS. … 16 God made the two great lights — the greater light to have DOMINION OVER THE DAY and the lesser light to have DOMINION OVER THE NIGHT — as well as the stars. … 18 to DOMINATE THE DAY and the NIGHT , and to separate light from darkness. And God saw that it was good. 19 Evening came and then morning: the FOURTH DAY. … 22 So God blessed them, “Be fruitful, multiply, and FILL THE WATERS OF THE SEAS, and let the birds multiply ON THE EARTH.” 23 Evening came and then morning: the FIFTH DAY. 24 Then God said, “Let the earth produce living creatures according to their kinds: livestock, creatures that crawl, and the wildlife OF THE EARTH according to their kinds.” And it was so. … 28 God blessed them, and God said to them, “Be fruitful, multiply, FILL THE EARTH, and SUBDUE IT. Rule the fish of the sea, the birds of the sky, and every creature that crawls ON THE EARTH.” 29 God also said, “Look, I have given you every seed-bearing plant ON THE SURFACE OF THE ENTIRE EARTH and every tree whose fruit contains seed. This food will be for you, 30 for all the wildlife OF THE EARTH, for every bird OF THE SKY, and for every creature that crawls ON THE EARTH — everything having the breath of life in it. I have given every green plant for food.” And it was so. 31 God saw all that He had made, and it was very good. Evening came and then morning: the SIXTH DAY. “Signs for festivals” and for “days” and for “nights” are each related to the relationship of the Earth to the Sun, the Moon and to the Stars. The Stars / the Mazzaroth constellations are SEASONAL as Psalm 19 states. Rob, what causes the Mazzaroth constellations to be SEASONAL? Do you know? How did Israel keep track of Passover? How did they keep track of The Flood dates – beginning and ending? How did they know when to plant their crops? What causes the Mazzaroth SEASONS? Its all a Heliocentric sun worshipping luciferian cult. It’s a satanic lie,a trick. They fooled us let then not fool our children! Rob, How do the Jews determine the year by the Sun? Jews keep time in a unique way from the rest of the world. Discover why the calendar begins with Creation, the month with the new moon, and the day with sunset. The major ideas of the Jewish religion, even though they are intangible, are made accessible by being EMBEDED IN TIME. They are CELEBRATED ON SPECIFIC DAYS IN A YEARLY CYCLE OF FEAST AND FAST AND ANCHORED IN SPACE — by palpable substances such as a hut or matzah or candles. Anything that can be done at anytime by anybody will be done at no time by nobody. Judaism preserves the exalted principles and the cataclysmic events of its history through a structured, well-defined, and specifically timed system of practices that it requires of its adherents. Ancient peoples started to count their calendar years anew with the reign of each new monarch. When Christianity rose to dominance in the western world, it began to date history from the birth of its own “king,” later according to the Gregorian calendar. Hence, history was divided into BC and AD, before the advent of the king’s birth and in the “year of the lord.” JUDAISM COULD NOT CONSENT TO DIVIDE HISTORY ALONG THESE LINES;; it did not divide universal history even to make a fulcrum of Abraham’s or Moses’ birth. Therefore, the Jewish religious calendar was never oriented in this manner. For many centuries, the Jews counted the years from one event — the formative event of its existence as a people – THE EXODUS FROM EGYPT. After the destruction of the Temple in 70 CE, that cataclysmic event for a while replaced the use of the Exodus as the inaugural date. But the sense of the Jew in this regard, which came to expression only after centuries, was that even an event of such magnitude was not critical enough to draw a line through time and to re-start counting world history. Only one occurrence could serve as A BEGINNING FOR HISTORY: the beginning of history. Judaism determined TO COUNT THE YEARS OF THE CALENDAR ON A UNIVERSAL SCALE — from the creation of the universe. But exactly how old is the earth? Judaism determined to count the years of the calendar on a universal scale — from the creation of the universe. Even scientists with their most advanced and exacting instrumentation are sure of only one answer: there can be no precision in this matter. The only method for the Sages was to COUNT THE YEARS ACCORDING TO THE LITERAL ACCOUNT OF CREATION IN THE BIBLE ITSELF. Hence, what the HEBREW DATE 5751 implies is 5,751 years of God’s sovereignty over the world according to the counting in Torah, and that is its timeless significance. But this presented a problem: Jews everywhere were a minority and, while they could count time according to their view, they were living in an alien world where the overwhelming majority differed in this common legal practice. Jews, who resided over the face of the earth, could not ignore the way the world keeps time, the basis of a human being’s daily life. While Judaism is not “of” this world — in the sense that it strives ideally to transcend this world — it is very much “in” this world, and therefore, the Jewish community needed to accommodate its secular calendar to global usage. As a result, it had to live its secular life according to “the nations” and to divide global history according to the exact dates of the Gregorian calendar. But it could not accommodate itself according to the Christo-centric terms of the historical divide — BC and AD — and referred to them instead as BCE, before the common era, and CE, the common era. In Jewish terms then, we are living in 2000 CE, the ancient Temple was destroyed in 70 CE, the Maccabees rebelled in 165 BCE. The Jewish religious calendar, however, makes no recognition of this secular device, retains its universal format, and CONTINUES TO COUNT ITS YEARS ON A UNVERSAL SCALE — from the beginning of creation. Jews celebrate the religious New Year, Rosh Hashanah, ON THE DAY THE TORAH CONSIDERS THE DAY OF CREATION, according to its literal reckoning, the first day of the Hebrew month of Tishrei, which usually falls in late September. Jews COUNT THE MONTHS BY THE MOON; western civilization patterns its calendar AFTER THE SUN. That presents a dilemma. The moon travels more slowly than the sun — by approximately 48 minutes a day. At the beginning of the lunar month, she sets in the west shortly after sunset, and each day 40 to 45 minutes later. She continues to lag further and further behind the sun (each lunar month being 29-1/2 days) until, at the end of 12 months, the year of the moon is 11 days shorter than THE YEAR OF THE SUN, every three years LOSING A FULL MOPNTH OF TIME. This introduces a special predicament for the religious calendar: PASSOVER NEEDS TO BE CELEBRATED AT THE VERNAL EQUINOX — springtime and harvest are its natural hallmarks, the resuscitation of nature coinciding with the redemption of the people. But, IF THE LUNAR CALENDAR LOSES A MONTH EVERY THREE YEARS, Passover would move further each year and fall successively in every season of the year. That is exactly what happens to the Muslim festival of Ramadan. The sages ingeniously devised a perpetual calendar that would keep the holidays in the right season. The teachers of the Talmud made the adjustment by adding seven leap months (called “Second Adar”) in the course of EACH 19-year cycle, and thereby ingeniously devised a perpetual calendar that would keep the holidays in the approximate season for which they were originally conceived. The first day of the lunar month, called Rosh Chodesh, was originally proclaimed by the central court in Jerusalem after the new moon was visually sighted. After the destruction of Jerusalem, Rosh Chodesh WAS CALCULATED BY THE ASTRONOMICAL CALENDAR AND IT DETERMINED ON WHICH DAYS THE HOLIDAYS FELL. The Torah designates certain days of the month as beginning the holidays. As people cannot manage 29-1/2 day months, some months are 29 and some are 30 days. The 30-day months have two days of Rosh Chodesh, those of 29 days have one day. In a replaying of the ancient tradition of the court’s proclamation of the New Moon, on the Sabbath prior to Rosh Chodesh the new month’s arrival is now proclaimed during the synagogue service, replete with an announcement of the split second that Rosh Chodesh begins. Jews celebrate Rosh Chodesh primarily by prayers added to the service. A marvelous Jewish tradition records that Rosh Chodesh, the renewal of the monthly cycle, celebrates womanhood. It is not only a toast to women and a reminder of gratitude due them, but is actually declared a holiday on which women should not work. This monthly tribute was initiated as a special reward because at Mt. Sinai, unlike the men, women refused to contribute their jewelry to the fashioning of a golden calf — the starkest demonstration by the recently freed slaves of their lack of faith in God and His servant, Moses. Jews count the week from Sabbath to Sabbath. The Sabbath is the crown of the week; the crown of Jewish Holy Days; the crown of the Jewish spirit; the crown of the Jewish imagination. It is so rooted in the human condition that no matter how many societies have tried to uproot it, they could not. Some have simply moved the day: Christians to Sunday, Muslims to Friday. The Sabbath stamps its mark on the individual, on the nation, on the week. All weekdays lead to the Sabbath. In fact, the days do not have names, only numbers, and these numbers all look to number seven, anticipating the arrival of the seventh day, the Sabbath, Shabbat. The days from Sunday to Friday are viewed, psychologically as well as physically, as steps leading up to the Shabbat, the “palace in time.” New clothes are worn first on the Shabbat; special foods are prepared for it; important guests are invited to join the family for it; meaningful discussions are delayed until the Shabbat. Friday, because it of its proximity to the Shabbat, virtually loses its own identity; it is simply Erev Shabbat, the threshold of the Shabbat, on which even the most important scholars help in the kitchen. Following the analogy of weekdays as steps leading up to the holy day, at the close of the Shabbat, Jews experience a precipitous drop of excitement — the Shabbat departs, and life on the lowest rung of the first day of the week has to begin the climb again. The Jewish day does not begin and end at midnight as does the secular calendar day. Midnight is not a DISTINGUISHABLE ASTRONOMIC EVENT. In the era before the modern clock, a specific hour of the night could not be precisely known, whereas an hour of the day was easily determined by SIGHTING THE LOCATION OF THE SUN. Thus, the day had to begin by precise, simple and universally recognized standards. This meant that the day had to be reckoned either from the BEGINNING OF NIGHT OR THE BEGINNING OF DAY. For this reason, the Sabbath begins on Friday night and ends with the appearance of the stars on Saturday night. The same is true for the major holidays such as Passover, Sukkot, Shavuot, Rosh Hashanah and Yom Kippur, the fast day of Tisha B’Av, and Hanukkah and Purim. Beginning the day with the night is, in a sense, a metaphor of life itself. Life begins in the darkness of the womb, then bursts into the brightness of the light and eventually settles into the darkness of the grave, which, in turn, is followed by a new dawn in the world-to-come. Life consists of light and dark: “And there was evening and there was morning.” What we make of time is what counts. Rob, The ASTRONOMICAL YEAR relates to the Mazzaroth SEASONS. You need to deal with the SEASONS of the MAZZAROTH! What causes the SEASONS of the MAZZAROTH? Rob, how is it possible re: a Flat Earth for an eclipse of the Sun to happen? In your photos (I didn’t see your results from your balloon experiment.) taken during your balloon experiment, can you determine the LENGTH of the horizon which is visible in your photograph(s)? You know what a chord is. I am asking you to determine the distance of the width of the horizon which you have captured in your photos. Earth/Circumference = 131.48 million′ feet. If you could determine the length of your horizons (the distance, in feet, from the left edge of your photo’s horizon to the right edge of your photo’s horizon, of your photo, then you would be able to determine the length of the CHORD at the same distance in feet. Taking the center of the CHORD and the center of the arc of the horizon, you should be able to determine the amount of curvature which would actually be existing re: that horizon in the photo. It seems to me that the percentage of your horizon in your photo, of the entire circumference of the EARTH, would be VERY, VERY SMALL. Would you really expect to be seeing much curvature in your photos? Let me know what you find out. Remember, I am asking about the distance between the center of the chord and the center of the arc determined by the distance of the horizon captured by your camera. Rob, I have been following your FE claims / investigations for some time, now. I haven’t seen anyone attempting to debunk the FE as this scientist: Dr Robert W. Carter, senior scientist and speaker for CMI-USA in Atlanta, Georgia, conducted a home school activity with his children, which refutes the FE. I am asking about the distance between the center of the chord and the center of the arc determined by the (distance) LENGTH of the horizon captured by your camera. Rob, I am listening to your last evening’s 07-29-17 Rob Skiba & David Carrico broadcast. You mentioned that the “B”in Hebrew preceding a word indicates the preposition, “IN.” The following website gives you a downloadable pdf of the Ancient Hebrew Lexicon of the Bible – Jeff Benner. Jeff has gone back to the very ancient origins of Hebrew / letter structures / meanings / four parameters of a letter / etc. You may remember that I gave you Jeff Benner’s example of the house / home of an early Hebrew. The point being made was that there were HOLES IN THE ROOF OF THE TENT through which LIGHT enters. Those LIGHTS gave the same idea as the stars within the expanse. It is not a scientific fact, but a picture illustration. It seems to me, Rob, that you need a more basic knowledge of that which comprises the ANCIENT HEBREW LANGUAGE. I have downloaded the pdf. It is well worth having. It is more than a Lexicon! IN means IN Mary. It IS describing a “house” and a “tent” – in other words an ENCLOSURE. And all your mental gymnastics won’t change this fact. And NOTHING you can say can spin it off into anything remotely resembling the cosmos you believe in. The reference quoted by the ICR speaker mentions that the Sun goes down in the West and gets around to the East for rising. How does the Sun do that on your FE? Why don’t you do your own homework instead of asking me to do it for you? This has ALL been addressed by me and MANY others already. Rob, have you read through this? Are you, actually, claiming that the pronunciation of the acronym, NASA, originated as the pronunciation of an Hebrew word? Rob, I remember watching trips into space, etc., on a little old black and white TV. Do you really think that there was technology sophisticated enough that they could have filmed those space flights and their returns to Earth? Yes, they used mock-ups in order to educate the public concerning what was taking place. Why is that such a dastardly proactive? I knew that we were being shown simulations, etc., and not actual footage. What I noticed was that Peter is making a distinction between TWO HEAVENS AND TWO EARTHS. Our PRESENT HEAVENS AND EARTH are NOT the same as the ORIGINAL HEAVENS AND EARTH. Rob, are you taking this into consideration when you are IMPOSING Genesis 1 onto Heavens and Earth 2017? I really hope that you will take the opportunity and time to download the Ancient Hebrew Lexicon of The Bible – Jeff Benner. It is my observation that you are taking the ENGLISH LANGUAGE LITERALLY IN THE BIBLE! What you DON’T understand is the great difference that exists between Ancient Hebrew and Modern English. Even Modern Hebrew and Modern English cannot be taken in the same literal way. There is a Hebrew Language understanding that you are CURRENTLY not understanding. It is getting you into all kinds of error-thinking! [Col 2:16-17 KJV] 16 LET NO MAN THEREFORE JUDGE YOU in meat, or in drink, or in respect of an holy day, or of the new moon, OR OF THIS SABBATH [DAYS]: 17 Which are A SHADOW of things to come; but the body [is] of Christ. Rob, I was doing word study from Zodhiates NT Greek re: HEART. [Mat 12:40 KJV] 40 For as Jonas was three days and three nights in the whale’s belly; so shall the Son of man be three days and three nights in the HEART OF THE EARTH. How do you have a “middle,” or “center” of the FE? The speaker presents biblical references which indicate that The Bible holds to the Earth orbiting the Sun. LOL! Uhmm… no he doesn’t. Wow. Rob, this is an article with a video demonstration of the Solar Eclipse tomorrow, August 21, 2017. The Sun, Moon and observer must be stationed along the same line. How is that possible on your FE speculation? Better question: how come a shadow is always the same size or BIGGER than the object casting it? Don’t believe me? Go outside and look down. And the further away the object and/or the light source, the BIGGER the shadow becomes. So why then is there only a 70 mile wide dot going from west to east across the U.S. when the diameter of the moon is allegedly about the same width as the U.S., and it’s supposedly over 1/4 mile away, with a light source that’s supposedly 93 miles away? Rob, a shadow’s size / length depends upon the position of the light source with respect to the object casting the shadow. If the light source if directly above the object, the shadow will be beneath the object. As the light source is lowered the object’s shadow will become increasingly longer. Bottom line, a shadow is NOT smaller than the object casting it. Good luck proving otherwise in any practical experiment. Rob, I own The Complete Word-study Dictionary – New Testament by Zodhiates. Zodhiates original language is Greek. 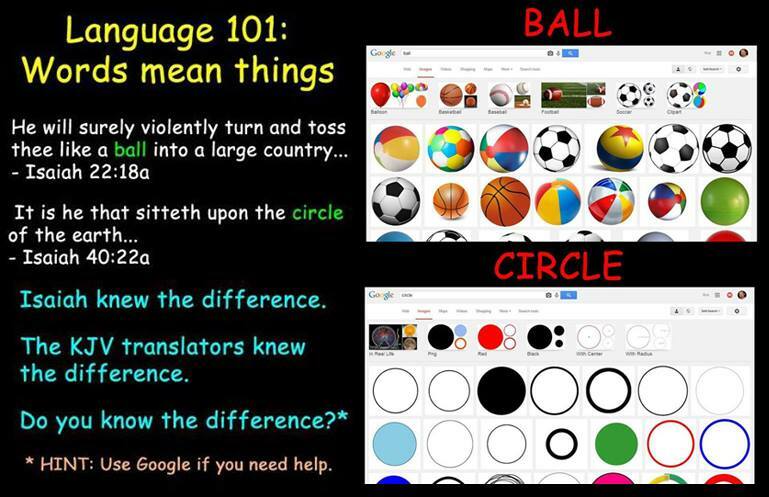 You would really benefit by owning this resource. The Septuagint Bible is the Greek translation of the Old Testament. Zodhiates references the Old Testament Septuagint in his word studies, also. Here you have one word which according to Zodhiates can have (VIII) different uses. It is obvious to me that you are limiting your understanding of the Bible to your knowledge of the English usages of words. The Greek language and the Hebrew language relate to the cultures in which they were used. Find a con trail on the horizon that you can see for 30 or 40 min. If the jet is doing 600 nots that will be about 400 miles. Hold a string up from start to finish and notice the string follows the con trail. I guess gravity pull the con.trail down toward the earth to straiten it out. Magic lol. I don’t think the “in your bosom” helps your case. Certainly Abraham didn’t stick his hand INSIDE his chest. This of all your examples seems to make the most room for the stars et al. being “on” rather than properly “inside of” the firmament. Is my reading of you wrong here? Rob, what would you say is the difference between TRUTH SCIENCE and TRUTH HISTORY? I read your posts bashing science / scientists. Truth science is a legitimate search for TRUTH in the Creation. The Creation reveals the INVISIBLE CHARACTERISTICS of The Creator-God. The evolutionary SPECULATIONS are NOT LEGITIMATE SCIENCE! Please don’t lump all SCIENTISTS of historical science endeavors in with the modern-day-non-scientists! !